It’s been a bit of a fragmented week, hasn’t it? I think I shared this on the Facebook Page: I’m in the clutch of data analysis for my Chaplaincy Project (has it been almost two years already!) and trying to let the Creative (Missing-in Action) Muse take charge of my life. The final written project is not a huge volume of writing so, on the one hand, I’m not overly twisted about it. On another hand, it is a challenge to pull together fleeting thoughts, aspirations, desires, and not let the ever-burgeoning ego swamp it all. On another hand (remember Avalokiteshvara), it is fun to try to get a broth of Dharma and a thickener of applied practice to congeal into a tasty gravy. I’m trying to be organized. Having cleaned up the data which gave some interesting insights into the relationship between burnout factors, self-compassion, and spiritual congruence, I’m launching into the reams of articles on the Four Noble Truths, Dharma Seals, Koans for the Ill-informed (that’ll be me), and the current status of Mindfulness-Based Interventions. This is an interesting edge, sewing together a seam of wisdom teachings and their practical applications. More than that, it’s an attempt to create a robe that is a Western application of Eastern wisdom. The issue of whether this has been a success or not is probably irrelevant. There are camps and camp followers; ardent defenders of the faith and vocal lobbyists for the scientific method. I tend to wander through both camps, adhering to neither but listening carefully for what might be helpful. Mostly I hold to the belief that there is wisdom in both approaches, that they are supportive wings, and each can and has learned much from the other. And then, sometimes, the data-gathers show there’s a long way yet to go. 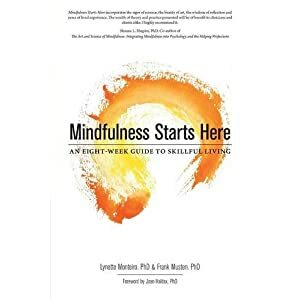 A recent article by Grabovac, Lau and Willett in Mindfulness attempted to re-insert Buddhist Psychology into the foundations of Mindfulness-Based Stress Reduction. Grabovac and her colleagues did a good job of putting the Three Dharma Seals (impermanence, suffering and nonself) into the service of explaining the mechanisms involved in mindfulness-based interventions. Drawing partially from the Abdhidhamma, they worked out a pretty good set of visuals that lead us through sense perceptions, attachment/aversion, and the generation of suffering and nonself. I found their understanding of the implications of nonself is a bit wonky, but that’s not as critical as what comes next. About halfway through the article, they address the role of Ethics (sila) in the cultivation of mindfulness. After listing the five precepts, Grabovac and colleagues make what is likely one of most faulty statements of the intent of a practice founded in sila. I’m no scholar of the Dharma but I don’t think one can get more off-track than this. In effect, they reduce Buddhist Ethics to a utilitarian process of feeling good. In terms of Kohlberg’s stages of moral development that makes Buddhist (and Mindfulness-Based) practitioners capable of not much more than the second level in which we choose the “right” thing to do because it gets us something in return. What Grabovac and friends have missed is that sila plays an equal role (if not more so) to Wisdom and Concentration in the triumvariate model of practice. It is more than just doing something to get something in return. And perhaps, this is where I find the teaching of Mindfulness-Based courses to be inherently limited if we stop, as most courses do, at symptom relief. The ethics of a Buddhist Psychological or Applied Model requires opening to our interconnectedness (non-self is the start point). The practice of the Five Precepts (or Five Mindfulness Trainings of Thich Nhat Hanh) is more than about avoiding a poor rebirth or ensuring some Thing for ourselves. To miss this places the whole translation of Dharma into Psychology on very shaky ground. In fact, I think it just collapses. This entry was posted in 108 thoughts and tagged 108Enso, ethics, five mindfulness trainings. Bookmark the permalink.